The most powerful supercomputer in commercial use, multinational energy company Eni’s Nvidia GPU-powered HPC4, simulates 15 year’s worth of oil reservoir production in an astounding average of 28 minutes, according to an announcement from Eni. The Milan-based company uses Stone Ridge Technology’s Echelon, a high-performance petroleum reservoir simulation software on HPC4, which has 3,200 Nvidia Tesla GPUs. 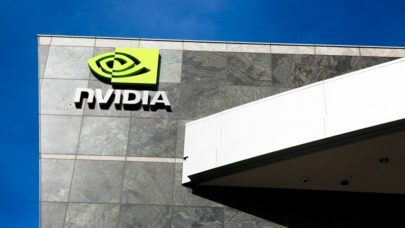 The 18.6 petaflops (peak) supercomputer processed 100,000 reservoir models in about 15.5 hours, Nvidia announced in a blog this week by Paul Holzhauer, Nvidia’s director of oil and gas, a task that Nvidia said would take 10 days using legacy hardware and software. Each individual model simulated 15 years of production in an average of 28 minutes. Last January, we reported on the debut of HPC4, which supplanted by only a few weeks the previous supercomputing record holder in industrial HPC, an Intel X86-based 9 petaflops system used by BP in the Gulf of Mexico. Before that, Total’s “Pangea” system, introduced in 2016, held the No. 1 spot at 6.7 petaflops. The energy industry has long been aligned with world-class supercomputing capabilities because of the staggering complexity and huge datasets involved in reservoir simulation, along with the high cost of operating drilling rigs and the financial losses resulting from “drilling mud.” Companies that more consistently strike energy reserves have an enormous competitive advantage. Exploration begins by creating vibrations on the surface of the earth (or the undersea surface, as the case may be) and converting the reflected sound waves into data. Large-scale numerical processing turns this data into images that are analyzed by geoscientists to determine if a reservoir prospect contains hydrocarbons and where they are located. Stone Ridge’s Echelon application models how hydrocarbons and water flow under the ground in the presence of wells and enable geoscientists to evaluate virtual production strategies and “what-if” scenarios on supercomputers before committing to new drilling projects in the real world. According to Stone Ridge, the accelerated throughput of GPUs delivers a major advantage.